ANGOL NYELVVIZSGA TRÉNING: TRUE-FALSE szövegértés feladat ANGELINA JOLIE-val! A nemzetközi sajtó tele van Angelina legutóbbi műtétjével, melynek tanulságos részleteit a New York Timesban is felfedte, hogy eljusson üzenete a vele hasonló rákkal szembenéző nőkhöz. Egyszerűen nem találni olyan nyelvvizsgát, amelynek ne volna szövegértés része, ráadásul eléggé súlyozottan is szerepel ez a típusú feladat a nyelvvizsgán. Az english-online.blog.hu-n olyan cikkeket dolgozok fel neked, ami téged is jobban érdekel és tele van vele a média. Olvasd el a cikket és próbáld először az IGAZ/HAMIS állításos feladatot megoldani a cikk végén. Ha gondot okozott egy-két idegen szó, csak ezek után nézd meg a szószedetet. A FELADATOT A LENTI KÉPRE VAGY IDE KATTINTVA INTERAKTÍVAN IS MEGOLDHATOD ONLINE!! Angelina Jolie has revealed that she has endured a second round of surgery in a bid to prevent cancer - and her decision to speak out once again about her personal medical history has been praised by experts as helping to save lives. Last week, an article written by the Oscar-winning star appeared in The New York Times, in which she explained that she has had her ovaries and fallopian tubes removed to avoid developing ovarian cancer - and as a result, she is undergoing the menopause and will not be able to have any more children. Doctors were quick to salute her for the article, saying it would help focus attention on ovarian cancer. Gynaecological oncologist Dr Antoinette Sakaris said: "Ovarian cancer is less well known (than breast cancer) and less commented on. Improving that is crucial. I think this could save lives. Two years ago, Angelina, who has six children with husband Brad Pitt - three of whom were adopted - underwent a double mastectomy after discovering that she has the BRCA1 gene fault that greatly increases the chances of contracting breast and ovarian cancer. She lost her mother, aunt and grandmother to the disease. In her New York Times piece, headlined Angelina Jolie Pitt: Diary of a Surgery, the 39-year-old actress and film-maker revealed that she has always planned to have her ovaries and fallopian tubes removed after her mastectomy, but because the surgery has such severe effect on a woman's body, she had hoped to have more time to plan for the operation. Unfortunately, she heard in early March that an annual blood test has showed up markers that can indicate early signs of cancer - leaving Angelina with an anxious five-day wait to learn whether she had already developed the disease. "I went through what I imagine thousands of other women have felt," she wrote. "I told myself to stay calm, to be strong and that I had no reason to think I wouldn't live to see my children grow up and to meet my grandchildren". Luckily, she had stong support. "I called my husband in France, who was on a plane within hours. The beautiful thing about such moments in life is that there is so much clarity. You know what you live for and what matters." She said that it was hard to carry on as she waited for the results of further tests. "I passed those five days in a haze, attending my children (Zahara and Shiloh)'s soccer game, and working to stay calm and focused. After being told the happy news that she was cancer free, Angelina decided to undergo the next stage of her surgery immediately. "Regardless of the hormone replacements I'm taking, I am now in menopause," she revealed. "I will not be able to have any more children and I expect some physical changes. But I feel at ease...it is nothing to be feared. After revealing her double mastectomy in 2013, the actress was praised by medical experts for putting the spotlight on preventative cancer surgery, helping other women with gene faults to make this difficult decision. But last week, Angelina took pains to ensure that readers knew there were other options to surgery. "I did not do this solely because I carry the BRCA1 gene mutation and I want other women to know this," she said. "A positive BRCA test does not mean a leap to surgery. There are other options...In my case, the doctors I met agreed that surgery was the best option, because on top of the BRCA gene, three women in my family died from cancer." She added that the surgery did not guarantee that she would never develop cancer. "It is not possible to remove all risk, and the fact is I remain prone to cancer. I will look for natural ways to strengthen my immune system. I feel feminine, and grounded in the choices I am making for myself and my family. I know my children will never have to say, 'My mom died of ovarian cancer.'" Read the article about Angelina Jolie and mark the statements TRUE (T) of FALSE (F). 1. Angelina has had another surgery because the first one wasn't successful. 2. Doctors aren't happy to learn that Angelina breaks medical secrecy about her state of health. 3. The actress has had an operation because she wants no more children. 4. The gynaecological expert remarked that breast cancer is better known than ovarian cancer, which should be different. 5. 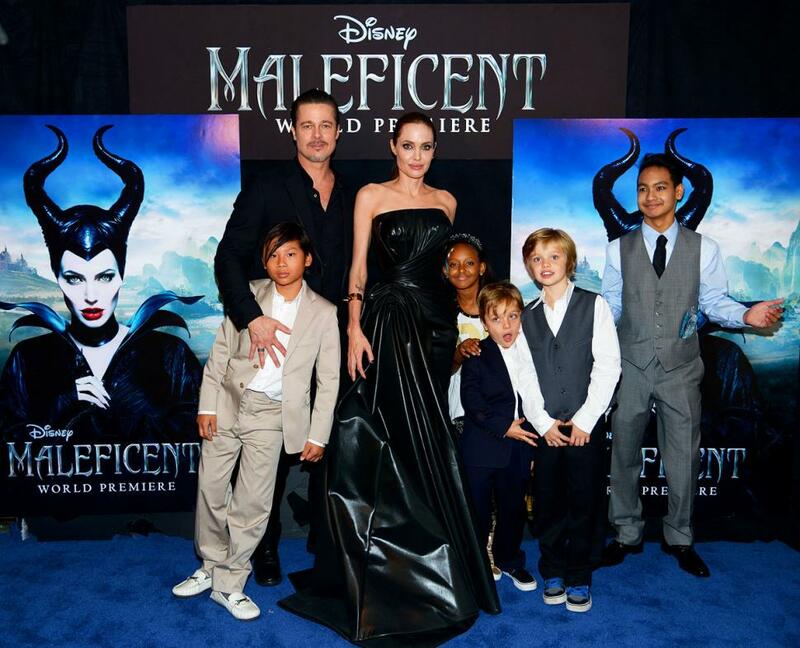 Angelina has never been able to give birth so her husband Brad Pitt and she decided to adopt six children. 6. Three of Angelina's family members died of ovarian cancer. 7. Angelina appreciates that she has a husband whose first priority is obviously his family. 8. Angelina was absolutely unable to take part in any events as she was too worried waiting for her medical test results. 9. Angelina is now relieved that she knows she no longer has to live in fear of getting cancer. 10. As Angelina puts it, preventative cancer surgery means that you undergo an operation because you have no choice. Vicces angol posztot ITT találsz!